While I’d love to grant you an unlimited clothing budget, I’m afraid I don’t have my magic wand to hand! 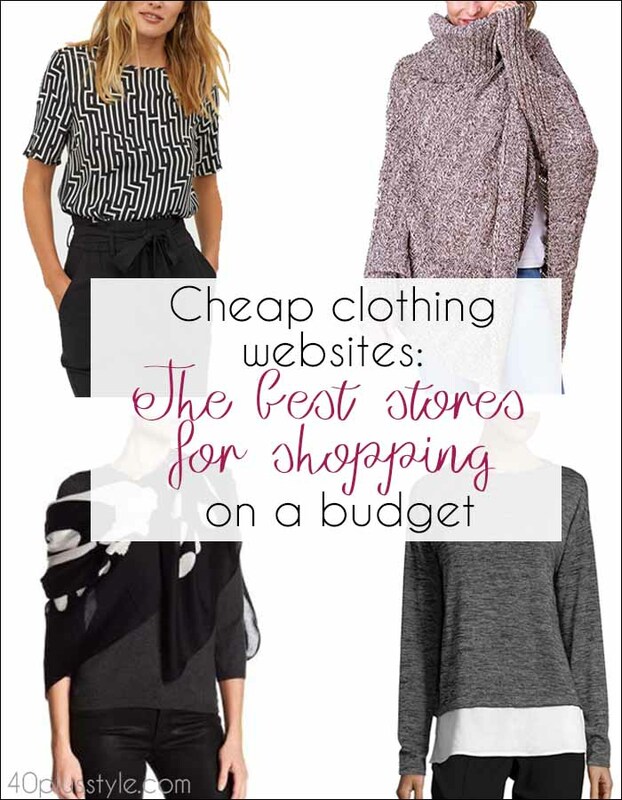 But, even if you are are shopping on a tight budget, there are plenty of cheap clothing websites so you can save money and still look hip. Here’s my round up of the best stores for shopping on a budget because, while you may be looking for affordable clothing, you don’t want your clothing to look cheap! Don’t forget to add your comments at the bottom if I’ve missed any stores that are your go-to places for picking up a bargain! Before I get onto the stores themselves, I’d like to add a few tips for shopping on a tight budget. Don’t buy something simply because it is cheap. You’re likely to end up with a closet full of cheap clothes that don’t go with each other. I’ve been guilty of this myself when sales shopping! Think about saving up your monthly clothing budget so you can invest in some good quality basics, around which you can base the rest of your wardrobe. Stylist Diane, for example, who took part in our style interviews series always has 6 pieces in her wardrobe. Look at what each piece is made of. Certain synthetic fabrics can look obviously inexpensive and ill-fitting. I’d tend to avoid Rayon as it doesn’t age well. But these days, many Polyester pieces look pretty good. Don’t be afraid to send a piece back if the quality is not what you expected! Thrift! Either look to pre-loved stores online or hit your high street if you’re lucky enough to have good thrift shops close to you. Look for classic pieces and well-known labels. You never know, you might just pick up a designer bargain! There’s more advice here on how to thrift! A good place for relaxed basics, Japanese label Uniqlo can be a good first port of call for classic t-shirts, sweaters and jeans. You’ll also find plenty of on-trend pieces, with many items under $50. There are also regular designer collaborations from the likes of Jill Sander and JW Anderson, making covetable design more affordable. 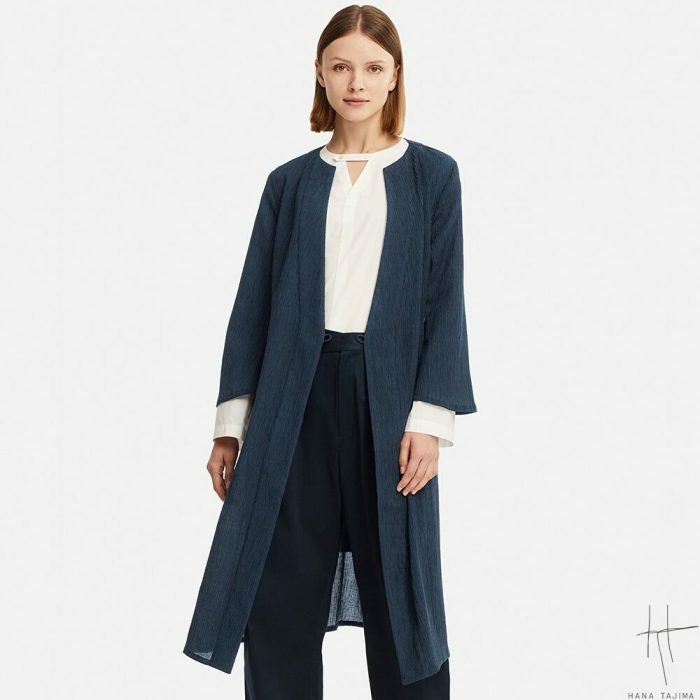 I love this lightweight navy wrap duster coat for its versatility. It could work well as a transitional piece for fall and spring and I could see this working for more formal occasions, or even as a beach cover-up. It’s one of Uniqlo’s collaborations, this time with UK designer and visual artist Hana Tajima. 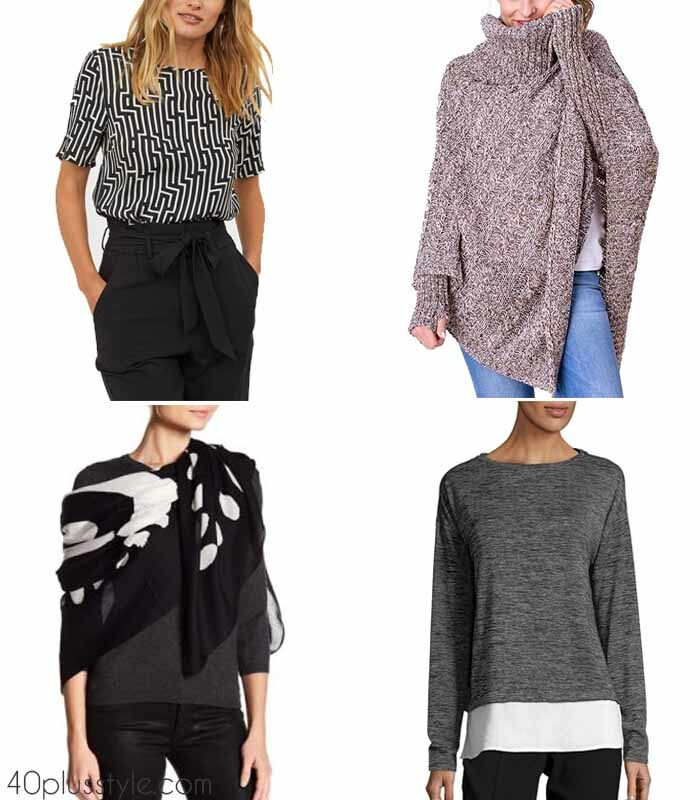 Amazon is so underrated as a fashion destination, but it has lots of hip and affordable clothing options. Because there is such variety, however, you do need to take quality into account. Make sure you look at the material, at where the item is coming from and, importantly, at the reviews from other customers. These will give you an idea not just of the quality but of the sizing so you know whether you ought to go up or down a size. Zoom in on the images so you can get a better idea of the quality and texture of each piece. 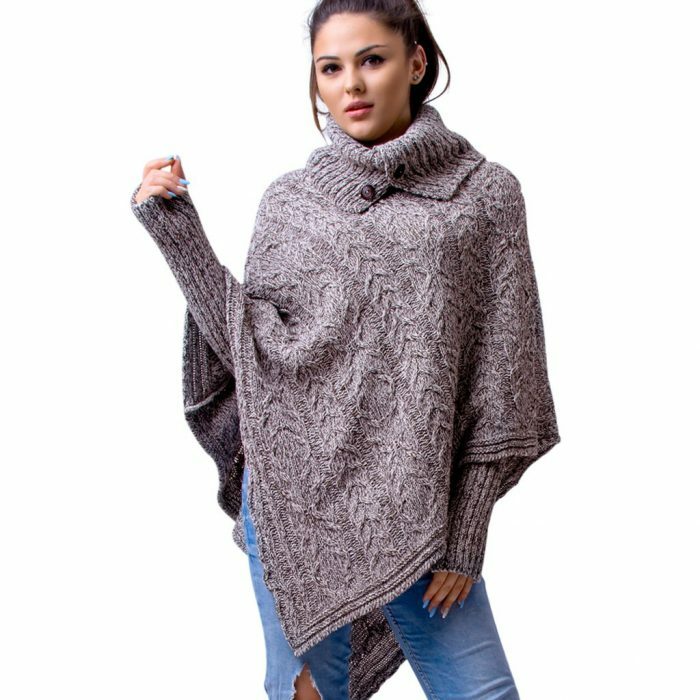 A poncho is another good transitional piece for fall. Easy to throw on over a pair of jeans when heading out for a weekend walk! Along with chic homeware, Target has some stylish clothing options. It’s a good place to try for denim basics thanks to the Denizen by Levis brand, and for trying out new trends if you think you’ll only wear a piece for one or two seasons. Target’s A New Day brand is great for stylish, classic clothing for women over 40. This chic black jumpsuit could be dressed down with sneakers and a denim jacket, or worn with heels and statement jewelry for evenings out. 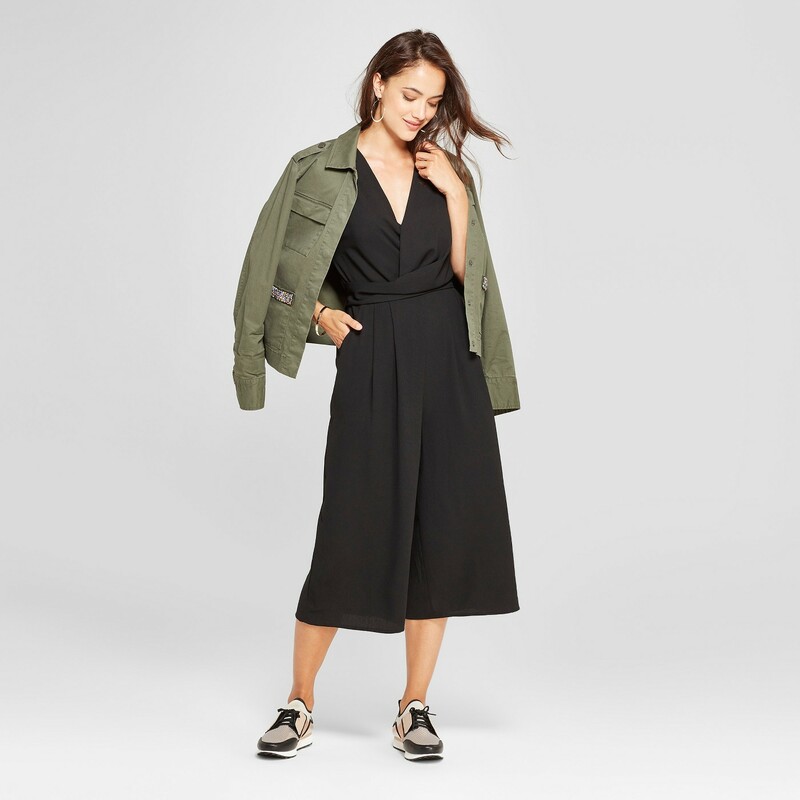 H&M may be seen as the younger sister to COS but that doesn’t mean that there aren’t stylish, and affordable, options which are flattering for women over 40. Most pieces are under $50 (with the exception of coats). 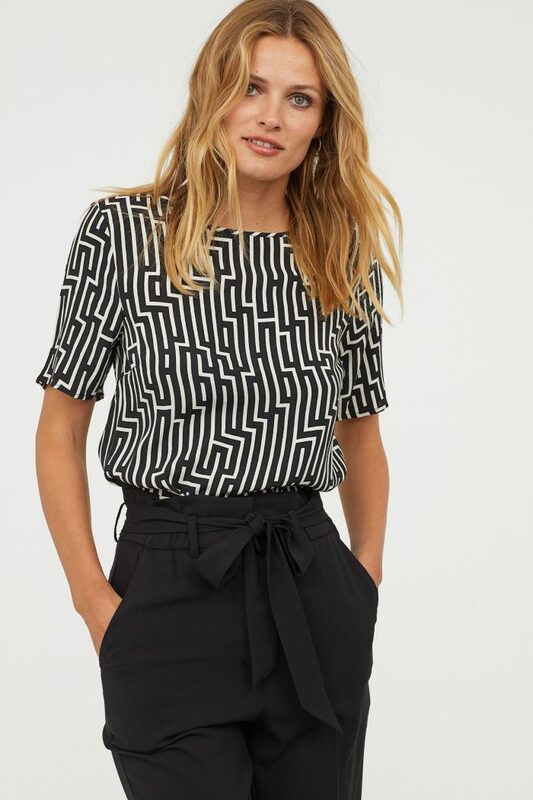 This black and white geometric top is only $14.99 and is a collaboration with fabric and wallpaper designers GP & J Baker. There are also matching pants that I’d be tempted to wear as a co-ord set so it looked like a jumpsuit. Then, I’d wear the pieces separately with black for fall and white for summer. But, you could also go bold and wear with some of the bright colors like the fuschia pink pants showcased among the colors for fall 2018. Just like Zara, Mango has its roots in Spain. It is renowned for putting a trendy, inexpensive twist on classic pieces. It tends to be a touch pricier than H&M. However, there are still plenty of pieces for around the $40 to $100 range. You will also find fabrics like linen and satin which will make your wardrobe look pricier than it is! 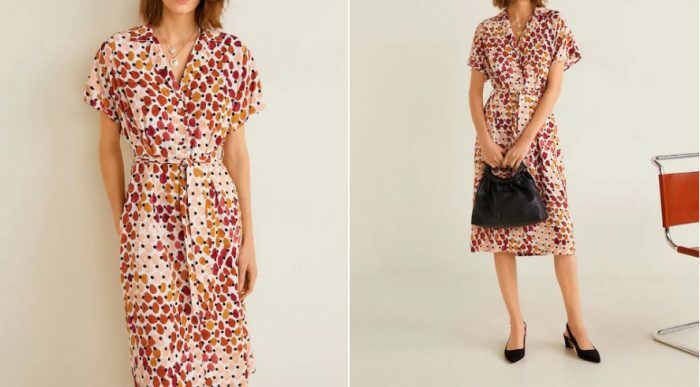 I can see this printed shirt dress working across seasons. You could add a burgundy turtle neck and long boots for fall. Not just for your groceries, Walmart may not have had a great reputation for bang-on-trend fashion. But, it’s recently introduced new brands like Time and Tru and upped its style game. 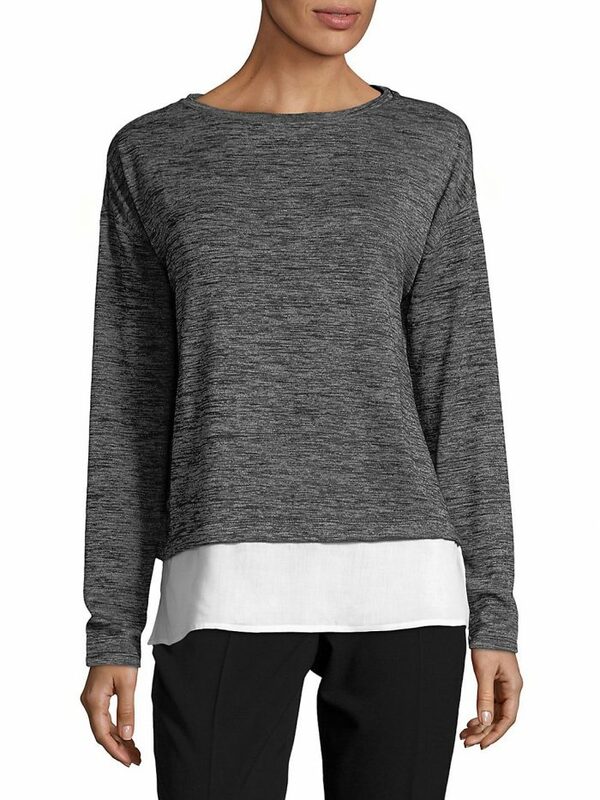 This Jones New York sweater ($23.76) offers an easy way to get the layered look for fall. Yoox is part of the Net-a-Porter group and it’s definitely not for you if you like to buy the latest trends each season and then push them to the back of your closet, never to be seen again. It could be for you, however, if you like to pick out timeless pieces that you will wear year after year. The concept is to buy overstocked or last-season pieces from big-name designers and sell them at a discount. So, while there are certainly a lot of pieces here which aren’t exactly cheap, it’s definitely a more affordable way to add designer pieces to your wardrobe. Plus, because a designer piece is a real investment, I really see no issue with buying out of season. After all, you’ll be planning to keep it for a long time! It’s one of those sites that is a bit like going to a yard sale. You have to be prepared to have a rummage around for a while, some things won’t be in your size, and there’s not a lot of stock of each thing so you may find it sells out if you don’t grab it. You can’t go in looking for a specific piece, but you may just come out with the perfect addition to your closet! When I looked, this Karl Lagerfeld dress was reduced from $334 to $200. Now, I know $200 isn’t exactly cheap, but I can imagine how many wears I’d get out of this. It’s knee length, it’s got little cap sleeves for covering upper arms. And I can see I’d wear it for years to parties and dinners. Let me know if you find a designer bargain! 6pm is part of the Zappos brand and offers discounted fashion. Again, you won’t necessarily find stock from this season. But you may just find a designer bargain. It’s another store where you have to move quick if you spot something as designer stock sells out pretty quickly. The best bargain when I looked was this Diane von Furstenberg coat with 70% off, down to $179.40 from $598. Again, it’s not still not cheap. However, it’s an absolutely classic style that you could wear forever. This one’s for you if you love thrifting. Particularly if you love luxury thrifting! It stocks pre-owned designer brands like Gucci and Chanel. So, you may well find a designer piece at a fraction of its original price, enabling you to afford a brand you never thought you’d have in your closet. When I looked, there were Gucci skirts from $30 and sunglasses from $50. Obviously, there’s only one of each piece, so if you see something you really love, I’d snap it up before someone else does! When I looked, I fell in love with this Gucci belt which is from a previous season ($56.25), but it’s also bang on trend as chainlink is one of the major accessory trends for fall 2018. Again, I’d love to know if you find anything! Last but not least, there’s Nordstrom Rack, which is the younger sibling of Nordstrom. While some pieces are specially made for Nordstrom Rack, others are from previous seasons at Nordstrom. Pre-dating fellow off-season store TJ Maxx, think of it as the outlet for Nordstrom! Look out for designer bags, scarves and sunglasses! 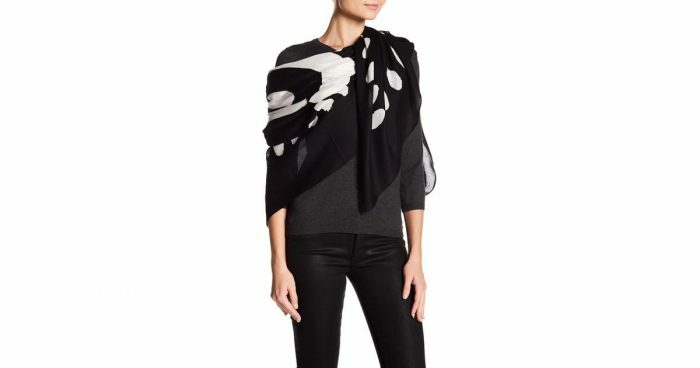 This McQueen scarf is $69.97, down from $145. What are your favorite stores for shopping on a budget? 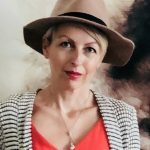 Author bio: Liz Hands is a fashion journalist and stylist from the UK who has styled fashion shoots for newspapers, magazines and high-end clients including 5* hotels and BMW. She’s now happiest either blogging about style, or donning her favorite Barbour jacket and Brogini boots for a hack out on her crazy ex-racehorse. Like this article? Save it on Pinterest! I love Uniqlo but it tends to be better for people with slim builds. I usually wear a small, but I take a large in a Uniqlo down jacket because the fit is so tight. Printed Ts are nice, and I like their Spandex shapewear bottoms. A Uniqlo bra I tried a few years ago was awful, positively pneumatic. A pair of tights didn’t stay up. Some of the cardigans, cotton and wool, pilled immediately. I like some of the collaborations but the fit is sometimes very strange and unwearable. It’s hard to judge the quality of the clothing from some of the other cheap retailers you featured. Often in real life, the fabric doesn’t look good. Uniqlo is really for thin/shorter people in my opinion. I’m surprised you didn’t mention zulily or thred up (both great for misses and plus sizes!) A lot of people forget Walmart is partnered with Lord & Taylor and trying to compete with Amazon so the website has tons of designer brands. Yes Angelina, it’s definitely about finding out which stores fit your own size and style – thanks for the extra suggestions too! !